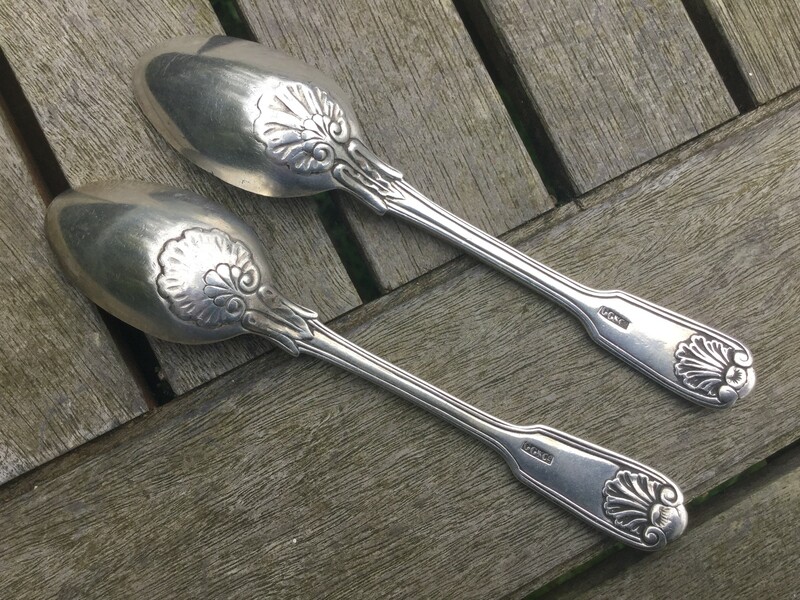 Fiddle Thread & Shell Teaspoons, GG & Co.
Just wondered if anyone can suggest a maker for these teaspoons, please? Of the silversmiths that I can find, George Gray seems the most likely candidate but did he ever use '& Co.'? I know that the fiddle thread and shell pattern seems to have been produced throughout the nineteenth century but these strike me as earlier rather than later. 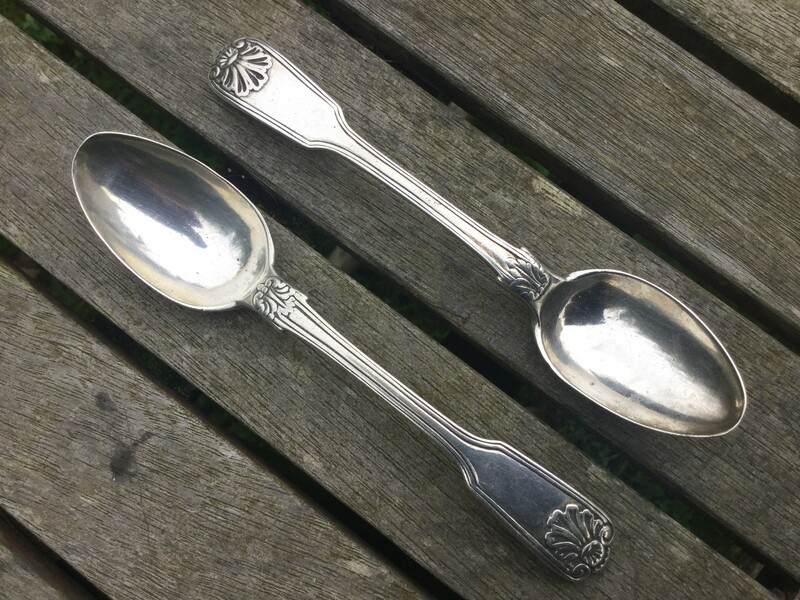 I've no idea, by the way, whether these are silver or heavy silver plate - I suspect the former but have put them under the silver plate category in case. 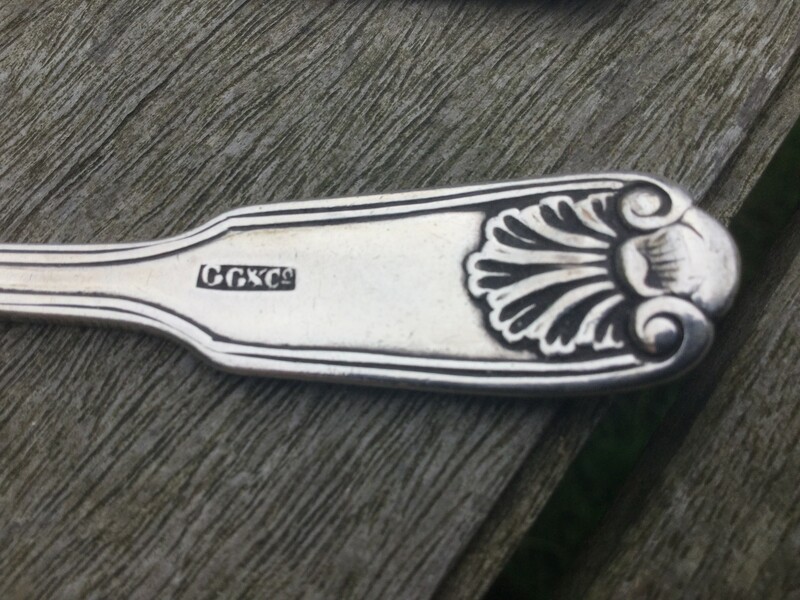 Re: Fiddle Thread & Shell Teaspoons, GG & Co.
That would be George Gordon & Co. of Madras. Blimey, that was quick! Many thanks, Trev., I would have never found that in a year of Sundays, never mind a month.